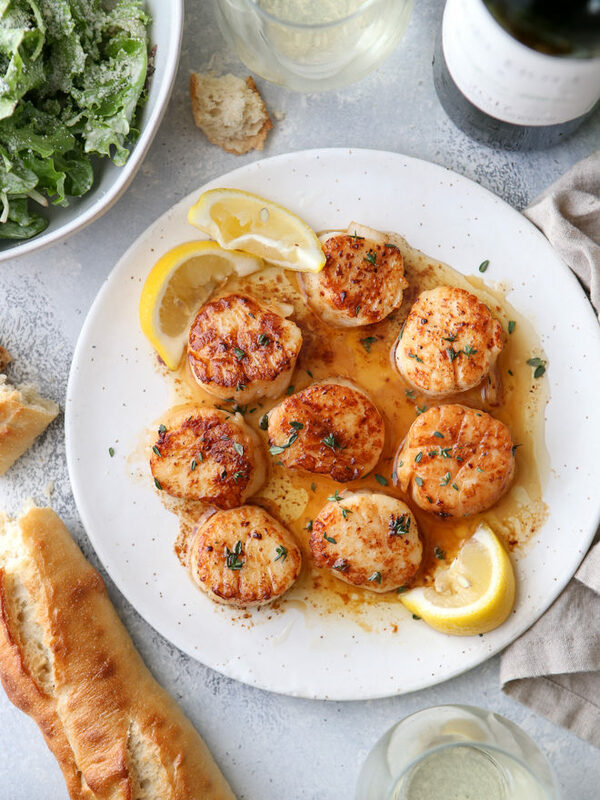 This seared scallops recipe requires just 5 ingredients, including fresh lemon juice and thyme, and only a few minutes to prepare. They’re uncomplicated, but so good. 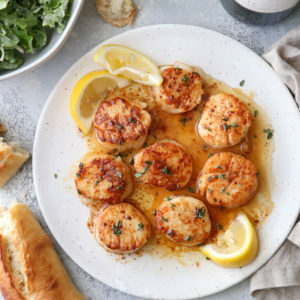 You can serve them over a bed of pasta or risotto, or keep things really easy and pair them with a big salad , a crusty baguette to help mop up the delicious sauce, and a dry white wine. 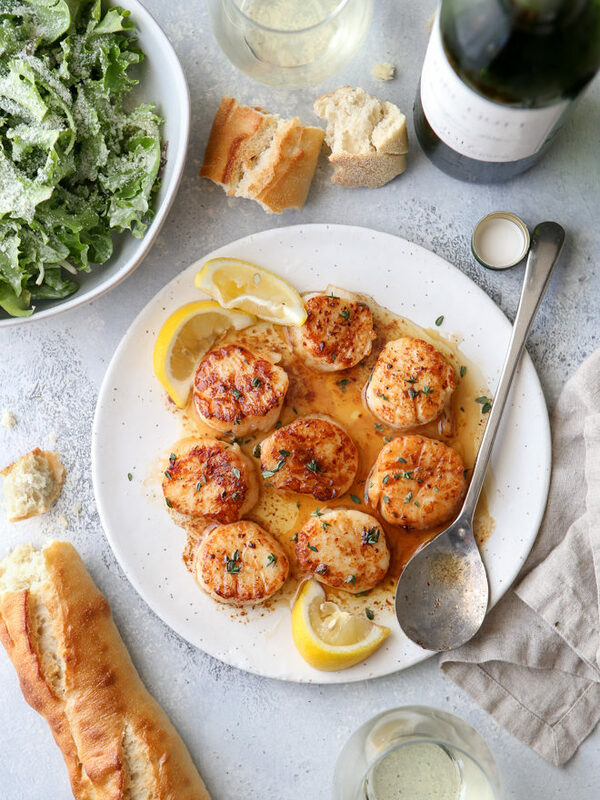 Skip the restaurant, this is better anyway!